Today, Premier Doug Ford and Todd Smith, Minister of Economic Development, Job Creation and Trade, announced a plan to help create and protect jobs in the auto sector. MISSISSAUGA — Today, Premier Doug Ford and Todd Smith, Minister of Economic Development, Job Creation and Trade, announced a plan to help create and protect jobs in the auto sector. Driving Prosperity: The Future of Ontario’s Automotive Sector, the Ontario government’s first sector-specific plan, sets out a 10-year vision for how industry, the research and education sector, and all three levels of government, can work together to strengthen the auto sector’s competitiveness. 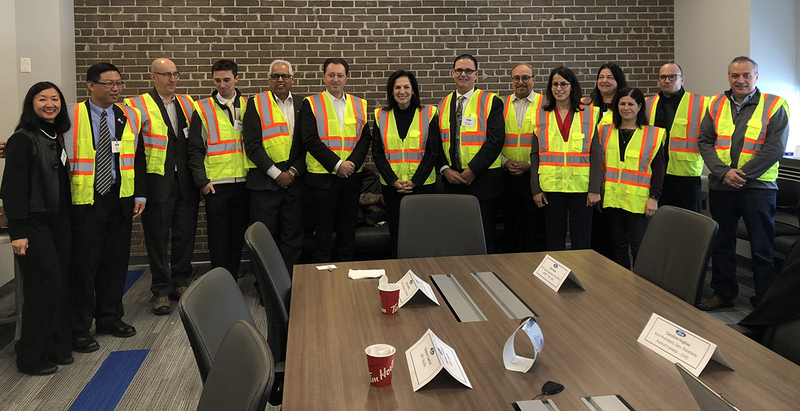 “Having worked at Ford Motor Company of Canada for the last 31 years, most recently as a vehicle auditor, I understand that manufacturing cars is the economic lifeblood of communities right across Ontario," said Rudy Cuzzetto, MPP for Mississauga-Lakeshore. "Over 100,000 Ontarians are employed in the sector, and the plan announced by Minister Smith today charts a clear path forward for the industry." Competitive business climate — a comprehensive, streamlined approvals and compliance approach for all manufacturing on designated mega sites, international promotion of Ontario’s auto strengths and the review of industrial electricity pricing. Innovation — new supports for supply chain modernization and competitiveness, and for connected and autonomous vehicle technologies. Talent — new internship and training opportunities, and development of a talent roadmap and skills inventory. Phase two, to be released later this year, will build on this work and address longer-term challenges and opportunities facing the sector. Ontario’s auto industry remains strong overall, with the province ranking as North America’s top auto-producing region for 2017, building almost 2.2 million vehicles. However, competition from U.S. states and Mexico, combined with technological disruption, are challenging governments and industry to act. In phase one, the Province is committing over $40 million to strengthen the competitiveness of Ontario's auto manufacturing sector. To allow for more testing of emerging technologies and to support future sales of the next generation of vehicles, Ontario has updated its Automated Vehicle Pilot program to allow vehicles equipped with higher levels of automation — Society of Automotive Engineers (SAE) Level 3 technology — to be driven on Ontario roads once they are eligible for purchase in Canada. Premier Doug Ford became Ontario's first Premier to receive the Golden Scissors Award from the Canadian Federation of Independent Business (CFIB) in recognition of Ontario being awarded an A-, up from C+ last year, as a result of significant action taken to cut red tape and reduce barriers to business growth. Vehicle assembly and auto parts production directly supports around 105,800 Ontario jobs, with a further hundred thousand more spin-off jobs in communities across the province. Ontario is the only place in North America where five major automakers build vehicles — Fiat Chrysler, Ford, General Motors, Honda, Toyota — as well as truck manufacturer Hino. The’s vehicle assembly facilities are supported by a supply chain comprising over 700 parts firms and over 500 tool, die and mold makers.